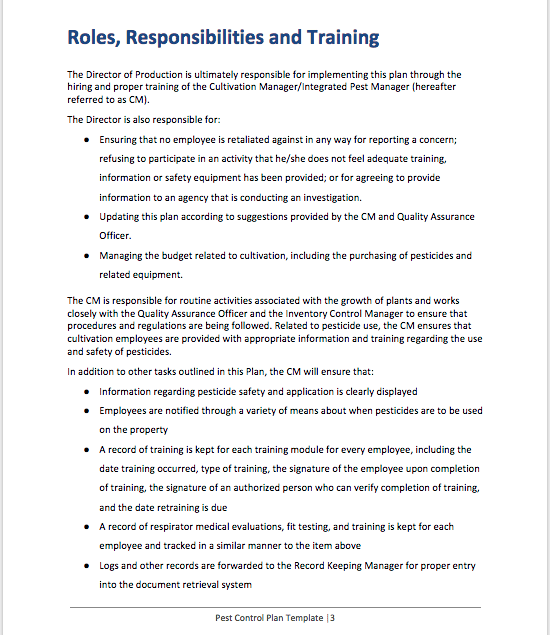 This Pest Management Plan is unique among our Operating Plans because it addresses both Pesticide Control, which pertains to managing chemicals in the workplace, natural environment and in consumable products AND IPM Pest Management, which pertains to preventing, monitoring, identifying and treating common cannabis pest infestations. 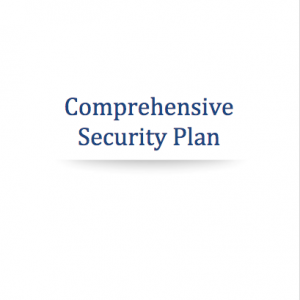 So this document serves as both a pre-license and post license operating plan with Standard Operating Procedures. 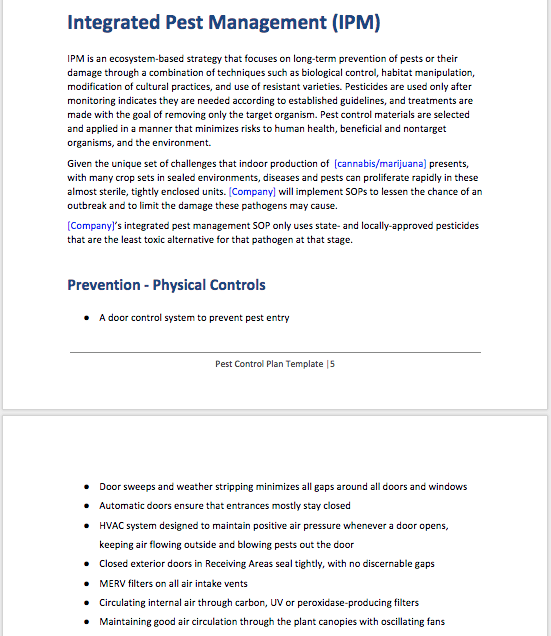 The term “pest” includes both insects and microbial infections (such as Powdery Mildew, Botrytis, Fusarium and Pythium), and managing these problems is absolutely critical to succeeding as a commercial cannabis cultivator. 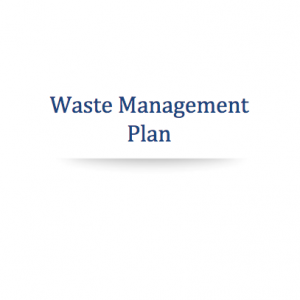 Newbies often underestimate the risk that pest problems pose to their bottom line and how likely they are to encounter these problems, so I just want to remind you of that risk now, while you are still planning your project. 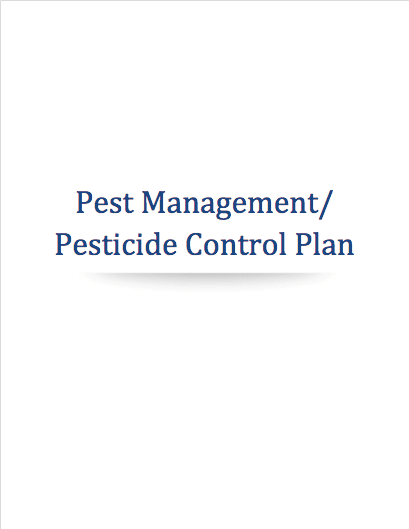 The right design considerations along with daily protocols can keep pests and pesticides under control so that cultivators can focus simply on growing cannabis, rather than damage control once an infestation has become full blown. 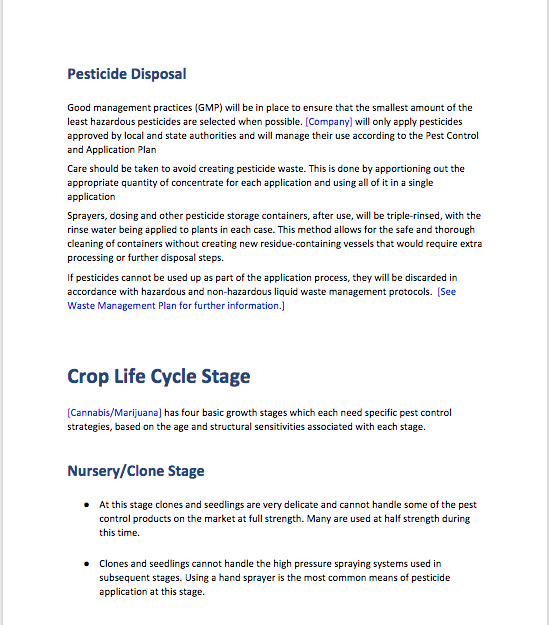 This Cannabis Pesticide Control / Pest Management Operations Plan is immediately downloadable via email link after you complete your purchase, in the form of Word Doc that you can edit and customize. 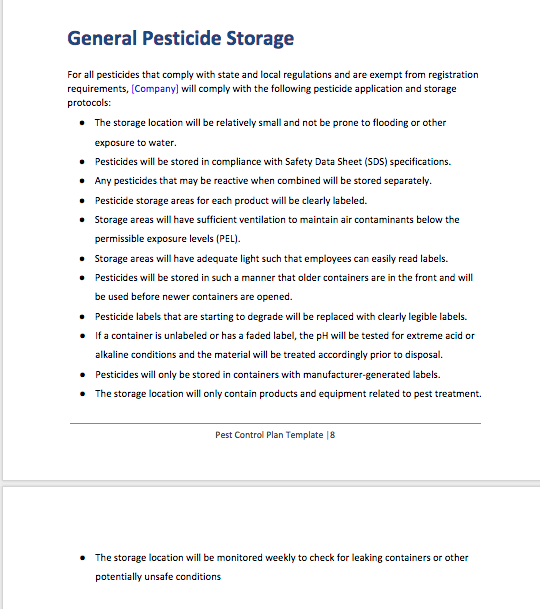 At 30 pages longs, this document addresses how to approach Pesticide Management in a cultivation facility. 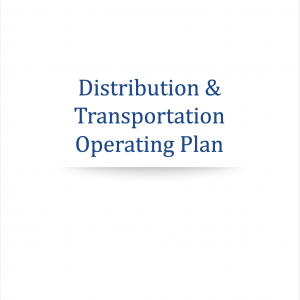 ​Like all of our operating plans, we expect you to read and customize this document before submitting it with your license application. 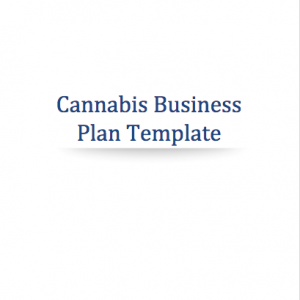 If you are new to the cannabis industry, our templates will educate you on how to learn most of the tasks related to executing your project, so think of these documents as “Getting Started Guides” for each of the major site management categories. Schedule a document viewing before buying by Contacting Jennifer.